Sheffield United looked set to settle for a point against Colchester United who has conceded the most goals in League One this season until a well-worked corner saw the midfielder credited with the goal - though there seems to be some confusion as to whom got the final touch. 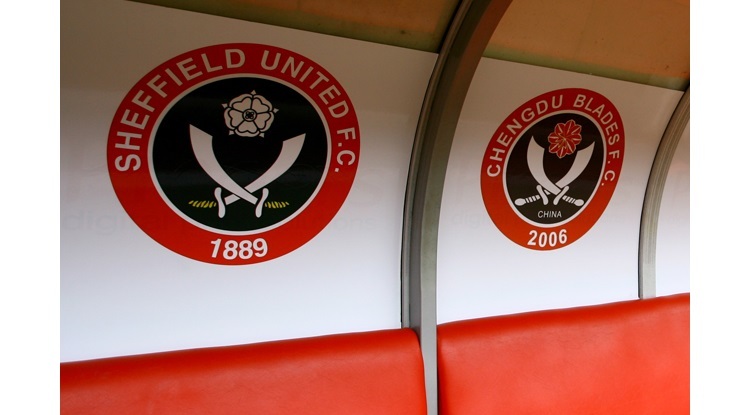 The result exacted revenge over a U's side which had won 4-2 at Bramall Lane earlier in the season. Billy Sharp had opened the scoring through hard work and determination but Eastman cancelled out Sharp's 13th goal of the season with his second half header. Blades boss Nigel Adkins made two changes to the side which drew 3-3 at Wigan Athletic four days previous. Flynn and Baxter dropped to the bench whilst Coutts and Woolford took their places. Former Blades striker Chris Porter captained the home team. Massey shot over the top and Sordell hit wide as the home side drew first shots at goal in the early exchanges that saw both sides make minor errors on what was a bitter cold day. At the other end Done attempted to capitalise on Eastman's terrible clearance but he fired easily at the keeper. United opened the scoring on the 20 minute mark. Keeper long collected a cross into the box and signalling out Sharp, his boot up field fell awkwardly for the defender as the striker was bared down on goal but Wyter recovered to block any scoring opportunity, winning the ball in the process. SHARP swiftly retrieved the ball eight yards from goal, twisted before sliding the ball home for his sixth consecutive league goal. Both McEverley and Collins both congratulated Long on his assist and quick thinking. The latter two defenders would soon made vital tackles as the hosts looked to find a way back into the game, but despite their efforts it was the visitors who controlled the majority of the first half. There one goal margin should have been extended before the break but wasted opportunities of taking advantage of a fragile defence as Done fired wide whilst Woolford saw his effort blocked. United continued to look a threat as they begun the second half. Done looked to carve out an opportunity but Eastman prevented the striker from advancing further and a 50 yard run by Sharp kept Colchester busy. Hammond kept out Massey away from goal as the hosts put United under pressure. Colchester went close on 54 minutes but they were soon to be rewarded five minutes later. Firstly Gilbey's 20-yard effort was pushed round the post by Long but in the next move to follow, Long would be all-at-sea as Sordell floated a timed cross into the box saw EASTMAN head home with the keeper well off his line. He soon made amends, keeping out Sordell's 30 yard free-kick as the hosts looked on top and threatened to take the lead. Between the 60th-70th minutes, Adkins made two substitutions, Baxter and Flynn replaced Done and Coutts in an attempt to get United back in the game. With fifteen minutes remaining a Baxter pass saw sharp get between two defenders but in a crowded box could only poke the ball at the keeper. The host’s continued the pressure but mistakes in defence gifted them with opportunities. Much sought after Moncur drilled into the wall after Hammond drew the foul when Collins was caught in possession. The final ten minutes of the game saw both sides with chances to win the game with Baxter handed two opportunities. His first he fired wide and after Hammond crossed he missed his kick. As the game edged to a conclusion, Long kept out Moncur. On the 90 minute mark a scramble in the box with Sharp, Eastman and the keeper Kean saw the ball drop lose but was somehow swept clear. With three minutes of injury time was added on the Blades pounced to net the winner. A swinging corner from the right by Woolford saw Basham flick on at the near post and in a movement seemingly too quick for the eye the ball was in the back of the net in front of a jubilant away support. After the defender had headed on EDGAR and Eastman had battled for the ball with the United defender getting the vital touch to steer home with his left foot; 2-1. Colchester United: Kean, Garvan, Briggs, Wynter, Gilbey, Porter, Moncur, Massey (Ambrose 85), Eastman, Brindley (Bonne 90), Sordell. Unused: Edwards, Wright, Kent, Vincent-Young, Parish. Sheffield United: Long, Brayford, Basham, Coutts (Flynn 70), Sharp (Sammon 90), Done (Baxter 63), Collins, Woolford, McEveley, Edgar, Hammond. Unused: Howard, Campbell-Ryce, Reed, Adams.